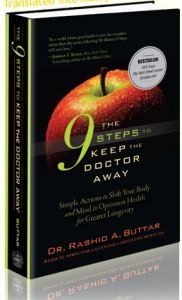 Dr. Buttar's book became a Wall Street Journal and USA Today best seller within weeks of being released. It is now an international best seller and has been translated into 11 different languages. Although not about milk per se, the book talks about the politics behind medicine, discusses the importance of diet and nutrition with a special section about the A2 milk, and provides a detailed and clinically proven method of improving and optimizing health. Another great source of information is Dr. Thomas Cowan, a prominent food researcher who has been involved in thinking about the medicinal aspects of cow’s milk virtually his entire career. His studies on the subject started in earnest when he read the book The Milk of Human Kindness Is Not Pasteurized, by maverick physician, William Campbell Douglass, MD. Cowan became convinced that a large part of the disease in this country is related to the way we handle, or rather mishandle, milk and milk products. Raw and cultured dairy products from healthy grass-fed cows are one of the healthiest foods...people have ever eaten. However, pasteurized milk products have caused more disease than perhaps any other substance people are generally in contact with. Many states do not allow raw milk to be sold under the pretense of "public safety". Even more difficult is to find an A2 cow that you can get raw milk from. However, if you are in the Carolinas, there is some good news. There is a source of A2A2 milk (milk from a cow that has both A2 from each of it's parents), has been range fed and supplemented with ONLY with 100% non-GMO grain, where the milk is non-homogenized, non-pasturized and not irradiated, ie, 100% raw. But to obtain it, you may have to jump through a few initial hoops...and for a good reason. For more information, email A2RawMilkMan@yahoo.com.